This entry was posted on 30.10.2012 at 14:25 and is filed under Jalkajuoksentelua - nosoles, Juoksu, Paljasjalkakengät eli "läpykät", Urheilu. You can follow any responses to this entry through the RSS 2.0 feed. You can leave a response, or trackback from your own site. Hyvältä näyttää Kuuvien kosteuden sieto edelleen: kävelty päivä upottavan märällä nurmikolla ja dipattu saappaat järveen (kuvat), kävelty kurapolkua mehiläispesälle ja huuhtaistu kurat sitten pois suihkun alla – jalat saappaiden sisällä ovat toistaiseksi pysyneet aina kuivina. Shoe case I’m pretty well used to the fact that one shoe can (of course) rolled in the second *. 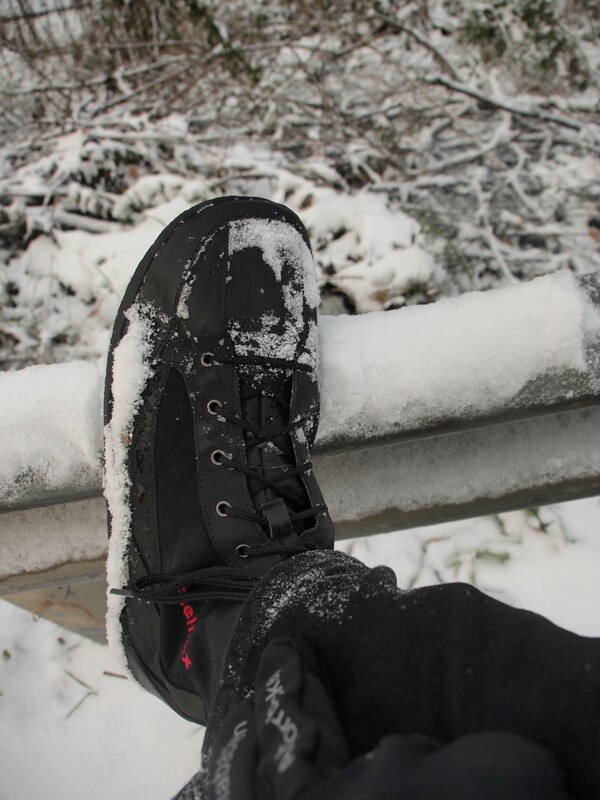 The same trick can easily Feelmax Kuuva 2-boots. Running: I did not buy Kuuvia sports, but the course I had to try out how they work loop. Very well. Funny feeling when jogging shoes had a pole, but it is not hindered at all. Arm did not stop the foot blade from doing their work under there. Maatuntuma was familiar from other FEELMAX princess level: if the pea is under the foot, it is familiar saappaankin through. 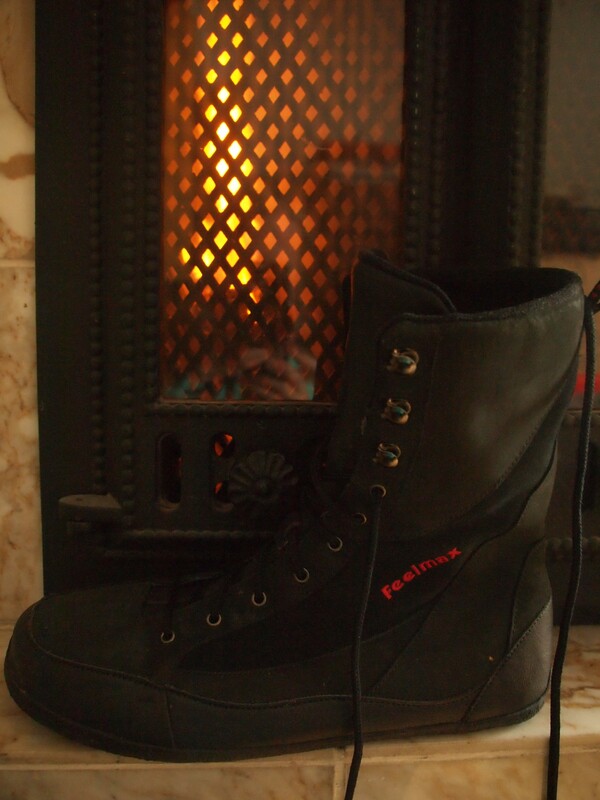 Sizing: I ordered a size bigger than Kuuvat other FEELMAX, the intention is that, where appropriate, to accommodate thicker socks. A thin sock with space is more than usual, but qualified oloisella Lacing the shoe gets tightened, not narrow at all get a lot of foot to move inside the shoe (some can). At least not in the short loop did not come to any abrasions or any shoe pressed. Too long tapes for shoes is ready tällätty. Heat: Before running rings Kuuvat having extreme test: sledding hill … Well tarkenivat toes, though frost was only a few degrees and not a scarce first snow inspired accompanied the pulkkailijaa particularly lengthy session. During very cold weather if I have to, sometimes standing around outside in place, then it is good that the shoe fits it warm socks. In general, as long as moving, minimaalikengillä doing surprisingly cold (foot muscle activity to be heated, while it is allowed to move). 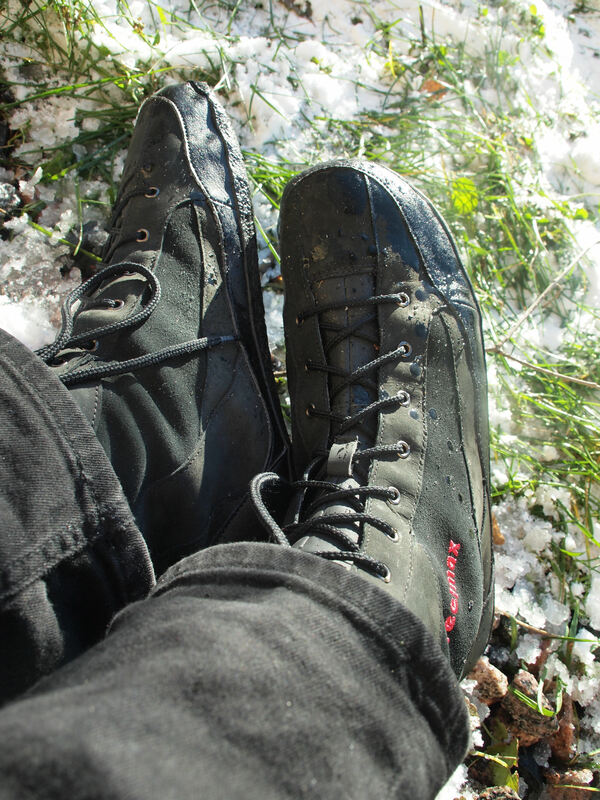 If someone wants to run loops in deep snow, so my guess is that the world is not a better shoe Feelmax Kuuvaa the stuff. Breathability: Kuuvat were the same as the test of extreme Saucony Hattori last year: the book fair … Not hiostaneet Kuuvat badly in any way. It was warm enough that the shoes were nice having feet all day indoors saapastelun after, but the pain can be, if it would have been the norm wearing winter boots or sneakers bun bottom. 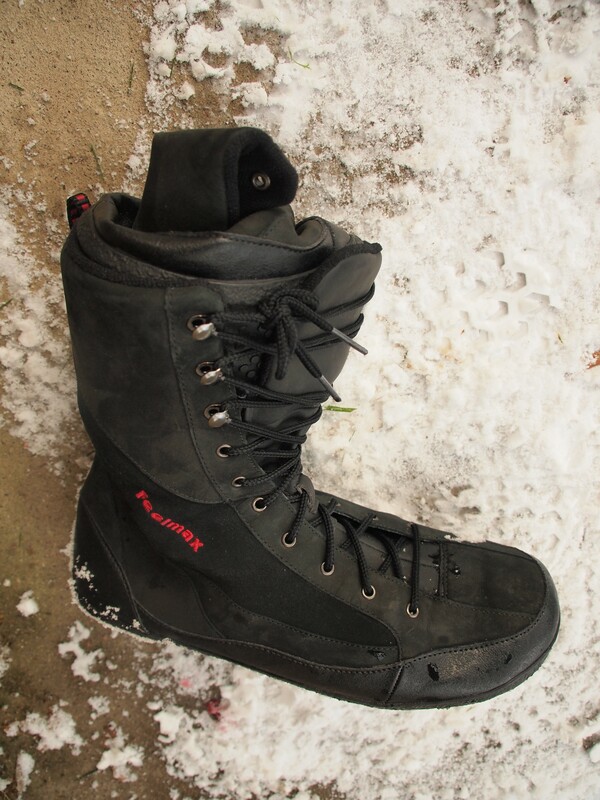 Humidity: I went to the snow shoes in the shop kopistelematta, I wanted to try the socks get wet when the snow melts. Did not get wet, so a little moisture does not get through. I’ll post more on this report, water shoes accuracy, when I had time to test several märemmillä weather. ( put in ). Balance: Osaselityksinä why Feelmaxes remains very erect, are the same as all paljasjalkakengillä. Paksukantapääkengillä becomes more easily down in the heel – and then it may slip over the heel and occipital kopsahtaa ice. Should not be underestimated either princess feel of the platform. Reflexes work, giving them the opportunity to act. Contact with the ground, especially when running a short (less than 200 milliseconds), but the foot has time to know if there is ice underneath (or peas) and act accordingly. 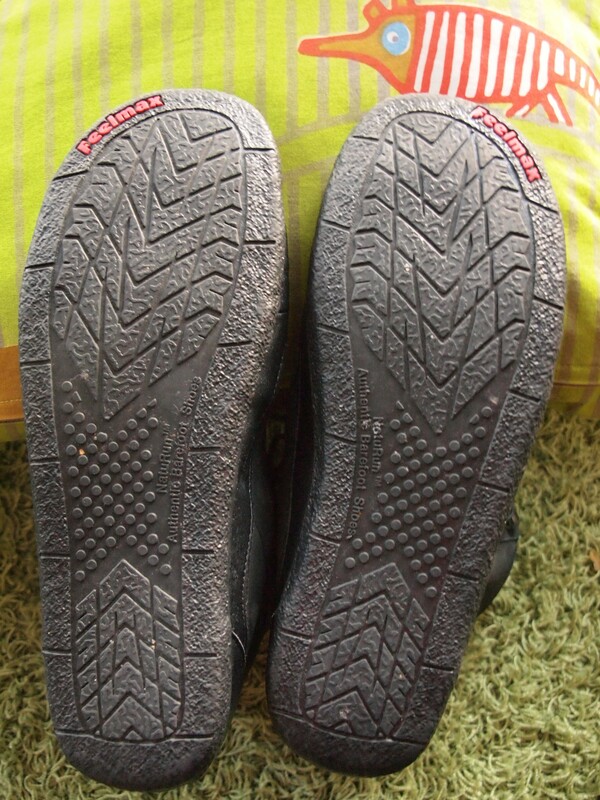 Odor: Barefoot Shoe (Feelmax, FiveFingers) known problem is the crystallising odor, especially if the shoes use without socks. None of the small body odor, but a dunkkis that the shoes really dare to take the foot on the train, for example, if someone is sitting next to. (The basic solution to the problem is a washing machine.) Following Kuuvien characteristic odor, so far it can not be said to describe a ”new leather”. Durability: I do not know yet, preliminary expectations are high Feelmax other models and high-quality construction materials oloisten basis. Summary: high heels or Kuuvat? When the situation calls for Swinging through the buttocks and the display seems that is longer than you really are, the better choice of high heeled boots, when the situation demands that the movement is a joy to yourself, the better choice is paljasjalkabuutsit. * Convenient when traveling, if your bag can fit only one link in the shoe, then the other can be rolled into it – and if you do not fit in at all, both can be rolled into a pocket. Mikäs on tässä vaiheessa mielipide pidosta lumella? Sanotaan että riittävän hyvin pitää hankalammillakin keleillä, näin pakkaslumella erinomaisesti. Karkeampi pohjakuvionti epäilemättä lisäisi vielä pitoa, mutta Kuuvien ohut ja notkea pohja kompensoi tilannetta: refleksit ehtivät pelata liukkaan jäisen kohdan yllättäessäkin, kun koko ajan tuntee mitä jalkojen alla on. Juu, otin itsekin käyttöön nuo kengät ja pito on yllättävän hyvä kuvion huomioon ottaen. Tuoreehkossa lumessa ehkä parempikin kuin ”kunnon kuvion” omaavilla toisilla talvikengilläni. hieno homma, että olet testaillut..itse käytin ihan satsan tanssikursilla ohuempiohjaisia, hyvin meni tango, hidas valssi ,satsa, jne..hyvät on!! !